The purpose of the ITF Harmony Program is to encourage those at an elder age to get involved in our Taekwon-Do ITF activity that will help them keep fit, both in mind and in body. On average over 32% of our population is in the age demographics of 50 to 84. This demographic will only continue to grow as the World’s population continues to age. Developer of the Physical Activity and Health Program (AFS) that was developed jointly in Buenos Aires and Malaga from 1999 to 2006, aimed at adults and seniors. 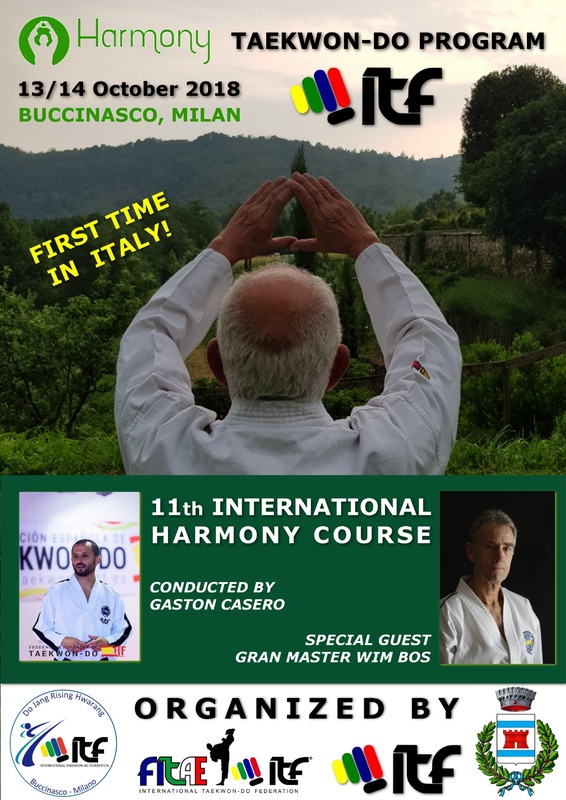 The IHC is sanctioned by the International Taekwon-Do Federation, the Italian Taekwon-Do Federation (FITAE- ITF), and hosted by GM Wim Bos and Master Orlando Saccomanno. We would love to have everyone to take part in this great event and look forward to a massive participation. Take some time before or after the IHC to enjoy Milan, Verona, Venice and other surrounding beautiful cities to explore.